Credit cards are a staple to everyone’s wallet. It’s the modern cash that allows you to pay for each and every purchase without having to bring bills around. This is why it’s important to get a card that’s recognized by as much establishments as possible. One of the banks that offer great deals and features when it comes to credit cards is BB&T. They never compromise the quality of the products and services they have. They make sure that every client is attended to especially when it comes to their finances. One of the services that BB&T has to offer is their Visa credit card. BB&T Visa credit card has no annual fee that most card holders are concerned about. Large annual fees can come as an unpleasant surprise every start of the year. With BB&T’s Visa credit card however, you need not worry about extra charges on your card. This is the main reason why many are getting credit cards from this financial institution. The introductory APR or the annual percentage rate is zero on all balance transfers and purchases for the first year. After the introductory twelve months, the fixed or low variable APR ranges from 8.15% to 15.90%. In terms of paying the card holder’s due, he or she is given 25 days to pay the entire bill. Another reason why it’s so beneficial to use this card is because it is accepted in more than 32 million sites all around the world. You can still count on your card whether you are dining in France, or sightseeing in London. And lastly, it can give assistance to emergency and travel situations like car rental insurance and a lot more. With all these perks, there’s a lot to love with BB&T’s Visa Credit Card. April has been full of checking promotions, and if you think you haven’t had the chance to score a deal for yourself, think again. This time, Branch Banking and Trust Company or BB&T has jumped into the promotions bandwagon by giving away $100 in cash bonus when you open a new checking account. This special limited offer will require you to first to open a new checking account under BB&T. The checkholder must not have a previous personal checking account with BB&T in the past 6 months. It is applicable to only one person per household and as such, multiple accounts will not be honored for the promotion. Here’s an important note – you must mention the promotion code AIEAP to avail the offer, or else you won’t get it. After account opening, you must then enroll in BB&T’s online banking services. From here, you must be able to perform three online bill payments for three times. Each payment must be at a minimum of $25 in total amount. This action must be performed within the first 90 days of account opening. Another way to get the cash bonus is to initiate 2 recurring deposits to your new checking account. Each deposit must be at a minimum amount of $100. Again, this action must be performed within 90 days of account opening. After having met these requirements, there will be a grace period of 120 days upon account opening before BB&T credits your $100 cash bonus. This offer is only open to residents of Florida, Georgia, Alabama, North Carolina, South Carolina, Tennessee, Texas, Kentucky, Indiana, Virginia, West Virginia, Maryland, and Washington DC. This promotion is p only for a limited time offer only. If you like BB&T’s checking promotion, you must open an account before April 30, 2012. 1. One monthly direct deposit of equal to or more than $100 for each statement cycle. 2. Average checking balance of $1,500 pre statement cycle. 3. Combined deposit and retail loan balances of up to $6,000. 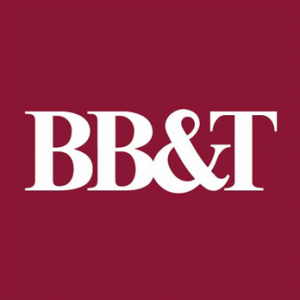 BB&T was founded during the aftermath of the Civil War. Partners Alpheus Branch and Thomas Jefferson Hadley started as private bankers, offering paid interest, time deposits, loans to farmers in their community. Many decades and mergers after, BB&T began to grow rapidly, marking its stronghold in various states. BB&T is on its way to gaining traction to make it big in the banking world. Open a new account with BB&T and get a $100 bonus for doing so. All you have to do is sign up and set up direct deposit or make three bill payments. This offer is only available to new clients who open a new personal checking account between now and 10/31/09 by visiting the following page – BB&T Cash Offer. Enroll in and receive a direct deposit to the new personal checking account within 90 days of account opening. A new client is a person who is not currently a signer and who was not a signer within the last 6 months on any BB&T personal checking account. Offer is limited to one incentive per household, and does not apply to second or multiple personal accounts. Any accounts not in good standing, closed, and/or with a balance less than or equal to zero at the time we review account eligibility will not receive the incentive.